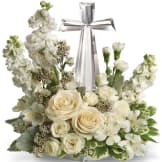 • The stunning bouquet includes white roses, stock, snapdragons, lilies and freesia accented with salal, myrtle and pittosporum. 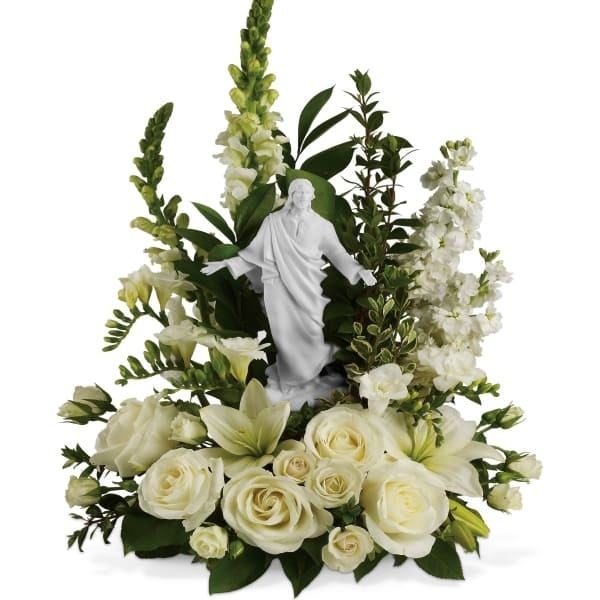 Delivered with a meticulously detailed porcelain sculpture of Jesus. • Arrangement measures approximately 15 3/4" W X 22" H.